Microgrids are seeing increased demonstration and deployment in Australia, both to provide greater resiliency to critical facilities in grid-connected environments, and as a potentially cost-effective approach to serving utility customers in remote communities. New foundational standards for device interconnection to facilitate interoperability between microgrids and the electric grid. For microgrids interconnected with distribution grid, a key need is to define the communications and response capabilities of smart inverters. Through technical review and working group facilitation, EPRI facilitated the development of the recently released revision of the IEEE 1547 standard, which lays out technical specifications for interconnection and interoperability between distributed energy resources (DER) and the electric grid. The revised standard lays out a series specific requirements for smart inverters, developed through extensive consultation with transmission and distribution system operators, to provide guidelines for regulators and commercial product vendors. These include capabilities such as grid status monitoring; autonomous response to support grid stability; voltage ride-through; and re-connecting distributed energy resources to the grid following an islanding event. The implementation of the newly published smart inverter requirements by manufacturers, utility companies, and other stakeholders may offer helpful context for any future revisions of relevant Australian standards, such as the AS4777.2 inverter requirements standard. EPRI continues to facilitate implementation of smart inverter requirements, such as by assessing which interoperability issues can be evaluated in IEEE 1547-2018 certification testing, and which may need to be addressed through other means. EPRI is working with project partners to implement a microgrid in Tennessee, U.S.A., that has two notable design features. First, it will have multiple points of connection to the surrounding electric grid. Currently, most microgrids have a single connection point; however, a microgrid with multiple points of connection could provide resiliency benefits to a larger portion of the grid. Second, this microgrid will explore the feasibility of “dynamic boundaries” for a microgrid – i.e. the ability to respond to grid system faults by expanding to include additional portions of the grid within its control when necessary, or by contracting its boundary to isolate the fault. Real-time simulation and lab tests indicate that this microgrid successfully protects against a range of potential faults related to high DER utilization, both when connected to the surrounded grid and when islanded. The control system implemented for this microgrid design has demonstrated successful transitions between grid-connected and islanded modes of operation. Working with Eguana Technologies and other partners, EPRI recently led the implementation of California’s first Zero Net Energy community of 20 homes in Fontana, California. This project demonstrates the Advanced Energy Community concept – a system with extensive coordination of local energy resources that remains grid-connected, and is significantly less expensive than a fully islandable microgrid. In this project, a combination of new technologies and control strategies enabled cost-effective Zero Net Energy homes and high PV adoption. The demonstration provided concrete insights on a range of implementation issues, such as effective use of low-cost data acquisition alongside traditional utility monitoring; key distribution planning needs; reducing peak backflow through the distribution system resulting from overgeneration; and the need for effective controls systems for peak load management on the distribution system. In another example, EPRI is leading an advanced microgrid demonstration designed to reduce costs and increase reliability at a U.S. Navy base in Ventura, California. This project intends to demonstrate the integration of a synchronous condenser and protection relays into a commercially deployable microgrid in order to provide increased reliability. It also plans to integrate photovoltaics, diesel generation, and a battery storage system. It is currently scheduled for commissioning in 2021. EPRI’s technical expertise may be a useful resource for best practices review as Australian network companies and other stakeholders continue to develop leading-edge microgrid implementations. 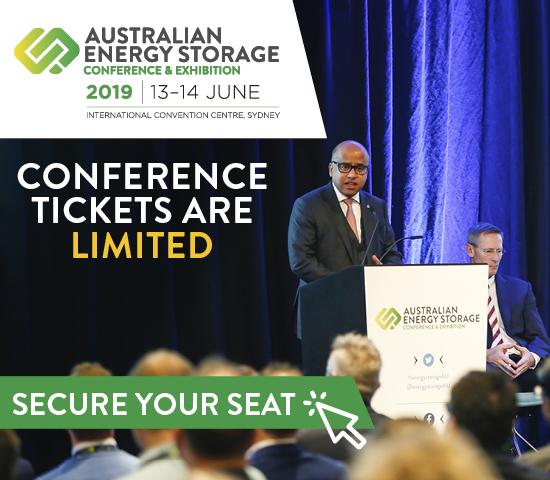 And for leading-edge microgrid innovations and demonstrations developed in Australia, EPRI’s collaborative model, utility industry relationships, and international presence offer a platform to share Australian innovation worldwide. All cited references are publicly available online. Matthew Pellow is an independent consultant based in Sydney, and a former staff member in EPRI’s energy storage program. He can be reached at mpellow@pellowenergy.com.